I've been eyeing the bubble necklaces on e-bay, as well, but I'm nervous about the quality of the pieces, as most of the necklaces don't seem authentic. Thoughts on yours? @Jane good question! I was worried about the Ebay pieces too. 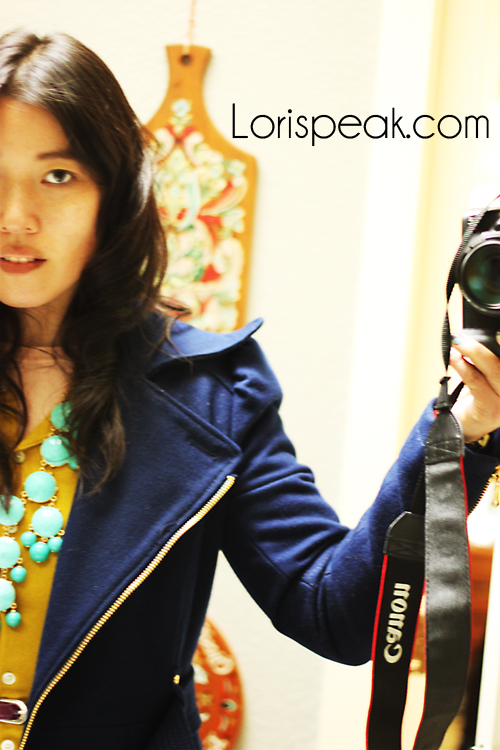 I bought this awhile ago, before J.Crew actually started selling the bubble necklace again. It was a gamble, because I'm highly allergic to cheap metals (my guess is the ones with nickel in them). But I'm not allergic to this necklace. It is stamped j.crew, but given the price (I think around $20) my guess is it is fake. I actually haven't been to a retail store to closely examine what the real ones feel like, so I can't directly compare the two. But, this one has held up well and gives me the look I want. I haven't had it tested to see if it's actually 18k (again, my guess would be no), but it hasn't discoloured in any weird way. I'd say for the price, it's worth the gamble. I love this outfit! I'm seeing that necklace everywhere! You look gorgeous! 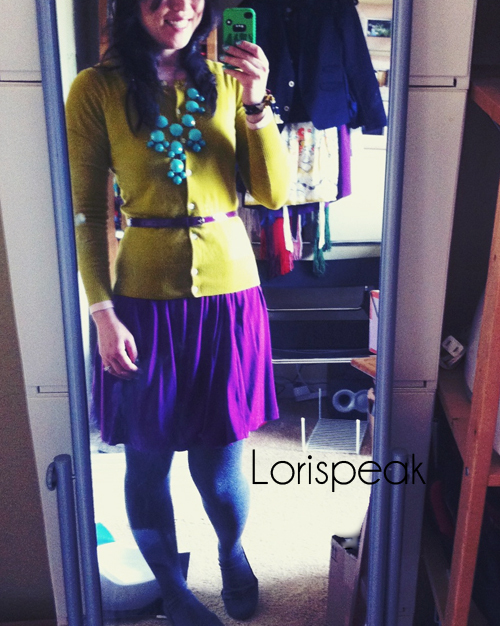 I love the color combos (Pinning It!) of your bracelet and the entire outfit is a colorful dream. You have inspired me to find an udon restaurant here. Your meal looks so good! This has got to be my favorite outfit you have ever posted! 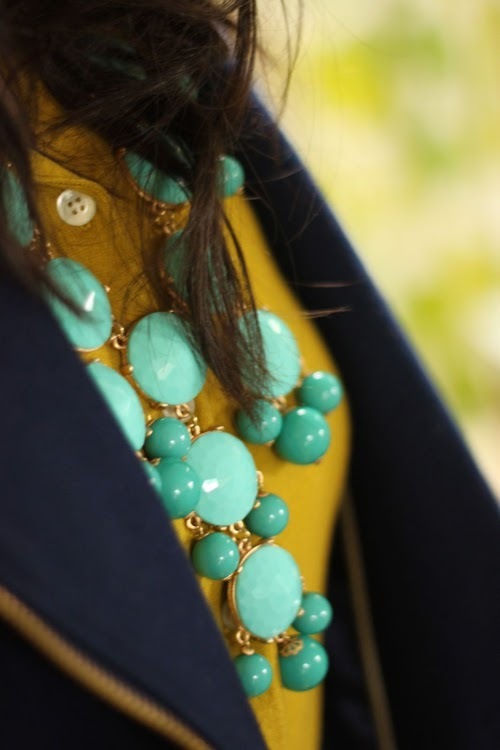 Love the blazer, necklace and amazing color combo! @Kimmie Yay! Btw, I've loved seeing some of the cocktail recipes you've been pinning! Totes need to have a cocktail party. @Lizzie thanks so much. I'll hop on over!